This is the second part of the article about the heatmaps and alternatives for Crazy Egg. Many more to come! A lot of new heatmap systems made their way to the public since this article was published. Time for an update! Inspectlet offers 3 bigger features: User session recordings, heat maps and form analytics. All are available within the free plan (although limited), with the exception of the form analytics. The paid plan starts at $39 per month. The user sessions recording come fully packed. Browser, Screen size, session length, starting page, referrer and enough filters to find what you are looking for. One neat little filter – and I haven’t seen this anywhere else – is the option to find sessions by the caption of any button or link with which the visitor interacted with. 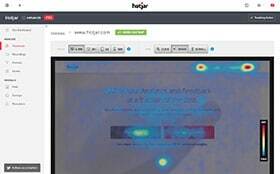 Eye-tracking heatmap: understand where your users are looking and what parts of the site they’re reading by overlaying their mouse movements. Click heatmap: this type of heatmap is useful for visualizing where your visitors are ultimately clicking. Scroll heatmap: see how far visitors are scrolling down and what portion of your entire page’s contents they are viewing. Besides heat maps, inspectlet has just released their latest feature, A/B testing! Until now inspectlet is the only tool in this list offering client side A/B testing. All in all, inspectlet is a great package, giving you all the necessary insights in a blink of an eye. Unfortunately, the recording quota with free plan is a bit on the low side. For example, it will only record 100 user sessions per month. Next in line is SeeVolution. The heat maps offered by SeeVolution are the clicks, eye tracking and attention scroll. You can play around with the density, the cursor type and the transparency. A very useful feature is the ability to select multiple clicks on the screen, which will generate a grouped report for the selected perimeter. The eye tracking heat map seems to be generated from cursor positioning (mouse movement) and clicks, so not actual eye tracking movement. Besides heat maps, SeeVolution also offer real-time data and analytics for both individual pages as for the full site. These data points include the amount of views, key stats (engagement, bounce rate, average view time and clicks), top locations, trending links, referrers and used platforms. The tool works with a lay-over. Navigate to the page which you would like to see in more detail, activate the lay-over and it will generate all possible heat maps and reports. Simply minimise the lay-over and continue to navigate through your webpages. SeeVolution has several subscription options, ranging from +250k visitors a month to 3k. This last subscription model is free. Ptengine is a complete analytics tool that includes a full heat -and scroll map as well. One of the many great features is that you can differentiate between the interactive and non-interactive elements of your interface when viewing the maps. That’s something I’ve only seen before at Lucky Orange. You can also compare multiple pages with each other. All of this comes with a multi device monitoring. A great tool that offers so much more than heat maps. 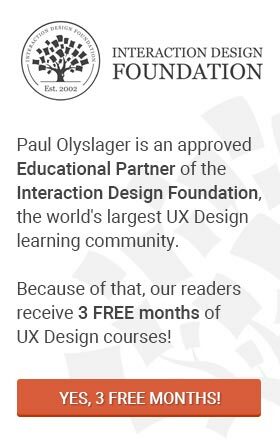 If you sign up through our blog, you will receive an extended 2 month trial. This instead to the normal 14 days. Want to know more about Ptengine first, then read our review. Ptengine’s heat map and scroll map. MonkeyTracker has a limited set of features (don’t expect session recordings for example), but what it has to offer, it does it really well and very fast. Responsive design and IP filtering are included as well. We have written a short post about MonkeyTracker, in which we share a special promo code. This promo code will give you a 30% reduction for all paid subscriptions and will extend its limitations. The limitations of the free subscription is extended as well. MonkeyTracker, a very simple, fast and reliable heat and scroll map generator. Zarget is a complete Conversion Rate Optimization tool, packed with great features. They not only offer heat -and scroll maps, but they also let you set up funnel analysis, A/B testing and split URL testing. Unfortunately, they currently do not offer any free plans, but you can try them out for 30 days. We have tried Zarget out for several weeks and we were really happy with them. It’s unbelievably easy to set up and integrate all there features with the help of a Google Chrome extension. We even wrote a review about them. Continue reading on the third page for even more heatmap systems.